Approximately 525 million litres per day (MLD) of sewage is generated from the city. While speaking to TOI, NMC’s executive engineer Aniruddha Chauganjkar and deputy engineer Rajesh Dupare, revealed that National Thermal Power Station (NTPC) have consented to collecting 150 MLD treated sewage from NMC. “NMC has received a letter from NTPC in this regard. NTPC will use treated sewage at its Mouda thermal power station. Now, a meeting will be organized with NTPC to decide the rate for supply of treated sewage. It will be followed by a MoU between NMC and NTPC,” they said. The duo further added that the capacity of the newly commissioned sewage treatment plant (STP) will be increased to 350 MLD from the present 200 MLD. “A proposal in this regard has been tabled before the standing committee, which will discuss and approve it in a meeting on January 14. Then the proposal will be put up before the general body for approval,” they said. The newly commissioned STP was built by NMC in a PPP model by roping in three private companies — Vishwaraj Infrastructure Limited, Drake & Scull Water and Power LLC, and Vasundhara Drills and Drainage Private Limited. The project was developed and has been functional since July 2018. However, no new tendering process or a new operator will be brought on board for augmenting the capacity. Maharashtra State Power Generation Company Limited (Mahagenco) signed an MoU with the NMC for acquiring 190 MLD of treated sewage from the 200 MLD from the new STP for the Koradi and Khaparkheda thermal power stations. It was already taking 130 MLD treated sewage from the first STP developed by NMC under JNNURM. With the increase in the capacity, the quantity of treatment and reuse of sewage will increase to 480 MLD, which will be 91.42% of total sewage generation. According to NMC only a few cities in India treat and reuse sewage, the quantity being less than 70 MLD. “NMC was the first to treat and reuse 130 MLD sewage three years ago. All this could happen since thermal power stations are situated near the city. Also, the central and state government made it mandatory for thermal power stations and industrial units to buy treated sewage from urban local bodies situated within a radius of 50km,” the officials said. 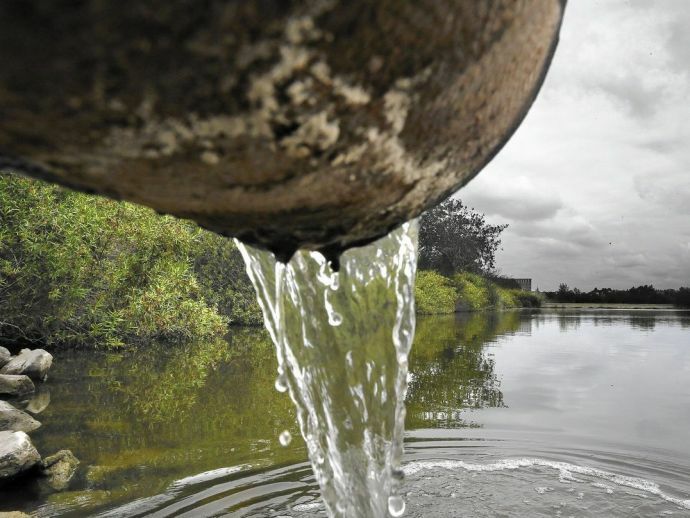 In the near future, NMC aims to treat 100% of sewage water. Mini STPs with a capacity of 72 MLD have been planned for setting up by the NMC and Nagpur Improvement Trust (NIT). With an increase in the number of STPs in the city, the three major rivers viz. Nag, Pili and Pora, can be expected to be cleaner than before. Even Kanhan and Wainganga river, and Gosikhurd dam will be clean due to lesser pollution in the Nag river. The project expenses will be borne by the NTPC and Mahagenco. This achievement also means conservation of the same amount of raw water from the irrigation reservoirs.